Prozac (generic name: fluoxetine) is a drug used to treat major depressive disorder, eating disorders like bulimia nervosa, obsessive-compulsive disorder, and panic disorder. It belongs to a group of drugs called selective serotonin reuptake inhibitors (SSRI), and it works on chemicals in the brain that may be unbalanced in people with depression and other mental disorders. It can also be used together with olanzapine (Zyprexia) to treat manic depression, one of the main symptoms of bipolar disorder. Individuals who have taken an MAO inhibitor should wait at least 14 days before getting treated with Prozac. Likewise, those switching to MAO inhibitors from Prozac should wait five weeks after discontinuing the drug before they can start treatment. Inform your healthcare professional about the use of antidepressants before starting Prozac treatments. In some cases, fluoxetine – the active ingredient in the drug – can interact with other medicines and cause a dangerous condition known as serotonin syndrome. Likewise, those who are being treated with electroconvulsive therapy should seek the advice of a healthcare professional before taking Prozac. Taking Prozac together with a nonsteroidal anti-inflammatory drug (NSAID) could result in the bruising or bleeding. Individuals taking Prozac may experience impaired thinking and delayed reactions, which could be life-threatening when driving or operating heavy machinery. 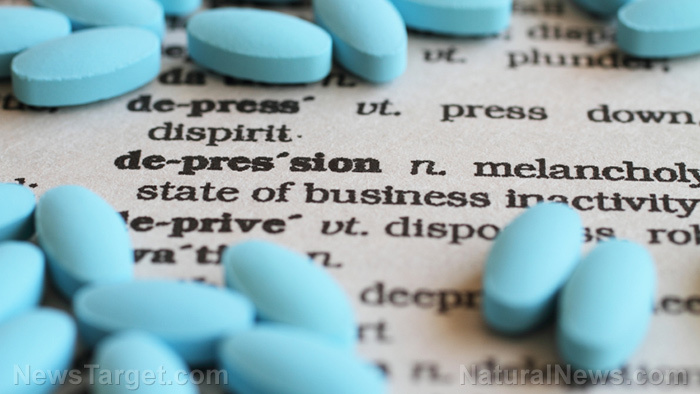 The side effects of Prozac may harm the body’s nervous, gastrointestinal, respiratory, genitourinary, metabolic, immunologic, cardiovascular, and musculoskeletal systems. The following herbs are effective natural alternatives to SSRIs. However, while these are natural, these should not be mixed with SSRIs or even with each other, as this can have potentially serious side effects. SAM-e – SAM-e, which stands for s-adenosyl methionine, is a naturally occurring compound that’s found in every cell of the body and the brain. It’s also known to relieve depression faster than prescription medication. Individuals taking drugs that affect serotonin release should not use SAM-e, as it can result in serotonin syndrome. Tryptophan – Tryptophan is present in high-protein foods such as meat, poultry, fish, and eggs; however, when used as a supplement, it’s known to be effective in treating conditions such as anxiety, seasonal affective disorder, and memory loss. Saffron – Saffron (Crocus sativus) extracts can effectively treat cases of mild to moderate depression with similar results as that of fluoxetine. Aside from being an antidepressant, it’s also known to have antioxidant, anti-inflammatory, and neuroprotective properties. Turmeric and curcumin – Unlike other antidepressant drugs, turmeric is safe to combine with both natural and prescription medication. Its active ingredient, curcumin, is a potent adjunct to prescription antidepressants, with some studies indicating that it’s as effective, if not better, than Prozac. Acetyl-l-carnitine – Acetyl-l-carnitine (ALC or ALCAR) is a brain booster that is used as a natural antidepressant, and it’s known to work better than prescription medication. A great bonus is that it also improves mental clarity, focus, and memory. Arctic root – Arctic root (Rhodiola rosea) has long been used in traditional Chinese medicine to increase stamina and reduce fatigue. It’s also known to work better than most antidepressant medications in reducing depression symptoms, which it does in as little as one week. St. John’s Wort – St. John’s wort (Hypericum perforatum) is a popular herbal remedy for treating symptoms of depression. However, one drawback of using St. John’s wort is that it has side effects that are very similar to that of prescription drugs, including anxiety, panic attacks, dizziness, nausea, and spikes in blood pressure. In the same manner, it shouldn’t be taken with SSRIs or other herbs as it can lead to severely adverse reactions. Here are some ways to naturally deal with the side effects of Prozac. Get regular physical exercise each week. Avoid eating sweets and sugary drinks. Add more vegetables and fruits to your diet. Schedule sexual activity before taking medication. Consult with your partner about adjusting your routine and the effects of the drug. Take naps during the day. If possible, get some physical activity. Avoid driving or operating heavy and dangerous machinery until the effects pass. Avoid caffeine (especially in food and drink) late in the day. If you regularly exercise, complete it several hours before bedtime so that it doesn’t interfere with sleep. Prozac? Zoloft? Paxil? Did one of these drugs drive the Empire State shooter? Prozac is used to treat disorders such as depression, bulimia nervosa, obsessive-compulsive disorder, and panic disorder. Prozac is classified as a selective serotonin reuptake inhibitor (SSRI). Prozac works on chemicals in the brain that may be unbalanced in people with depression. Prozac can trigger thoughts of suicide, especially in younger people. Prozac can damage the body’s nervous, gastrointestinal, respiratory, genitourinary, metabolic, immunologic, cardiovascular, and musculoskeletal systems.